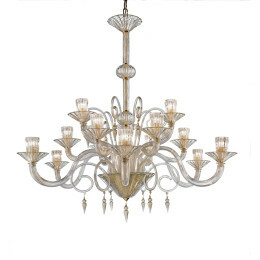 Modern Murano Glass Chandelier. Elegant Modern Design. Black Glass with Long Modern Shaped Arms, Cups, Central Glass Bowl, Balls and Spacers. Shown in 12-Arm Design. Available in 6-Arm to 10-FT Multi-Tier Design Configurations. Click for More Details. 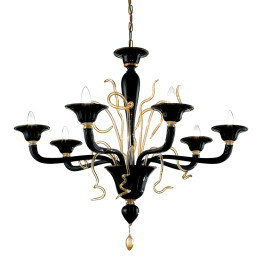 Contemporary Murano Glass Chandelier. 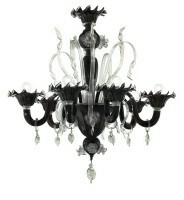 Features Hand Blown Black & Clear Glass, Organic Ribbed Glass Arms with Pulled-Edge Flower-Shaped Shades, Large Central Glass Bowl, Black Ornament Bottom with Clear Glass Flower Accents. Shown in 6-Arm Configuration. Wall Sconces & Custom Size Chandeliers Available. Modern Murano Glass Chandelier. Elegant Modern Design with Curly Ribbon Elements. Opaque Colored Blown Glass with 24kt Gold Dusting , Blown Ribbed-Ball Center Column, Finial Shaped Drop,Large Double Drop Ornament. Modern Design with Sockets Hidden Within Opaque Glass Shade. Shown in 6-Light Configuration. Also Available in 3-Light 24-inch Size. Custom Sconces Available. Contact Us for Information. 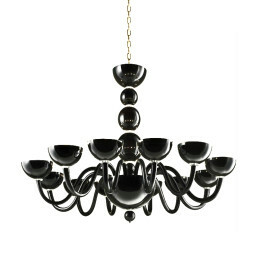 Modern Murano Glass Chandelier. Elegant Modern Design with Organic Ribbed Elements. 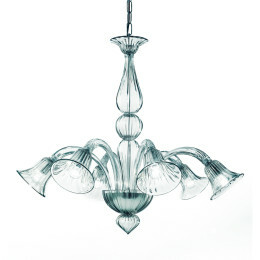 Features Clear Colored Blown Glass with Long Modern Organic Arms with Trumpet Shaped Glass Shades. Shown in 6-Arm Downlight Design. Custom Multi-Tier Designs Available. Custom Sizes from 26" 3-Arm Version to 8-Arm 45" Configurations. Custom Sconces & Table Lamps Also Available. Contact Us for Information. Murano Glass Chandelier with Organic Styling. 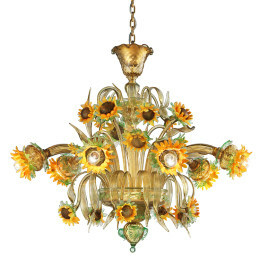 Features: Clear Blown Glass, Gold Accents, Sunflower Flower Shades, Long Stemmed Clear Foliage, and Hand-Cut Classic Crystal Cut Detail. Shown in 6-Arm Configuration. Custom Multi-Tier Designs Available . Custom Sconces, Floor Lamps & Table Lamps Also Available. Contact Us for Information. Murano Glass Chandelier with Organic Styling. 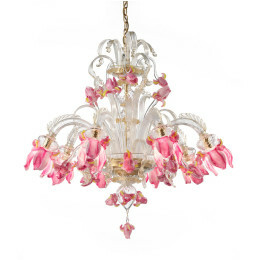 Features: Clear Blown Glass, Gold Accents, Pink Iris Flower Shades, Long Stemmed Clear Foliage, and Hand-Cut Classic Crystal Cut Detail. 8-Arm / 8-Arm Two-Tier Configuration. Custom Multi-Tier Designs Available . Custom Sconces, Floor Lamps& Table Lamps Also Available. Contact Us for Information. Murano Glass Chandelier with Organic Styling. 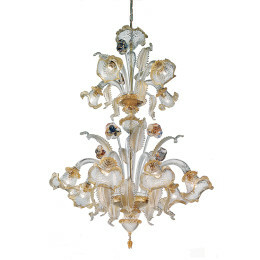 Features: Clear Blown Glass and Heavy 24kt Dust Accents, Bell-Shaped Flower Bells with Gold Accents, Long Stemmed Foliage, Long Stemmed Colored Glass Flowers, and Hand-Cut Classic Crystal Cut Detail. 8-Arm / 4-Arm Two-Tier Configuration. 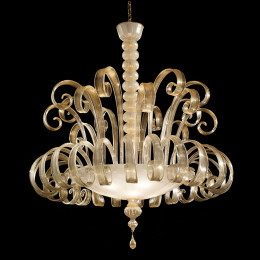 Custom Multi-Tier Designs Available Custom Sconces Floor Lamps, Flush Mount Chandeliers & Table Lamps Also Available. Contact Us for Information.